The internet can be a broadcast station for you, but few people know how to use it, Those who do have been able to achieve much - promote causes and offline businesses, quit their jobs to earn passive incomes and much more. Blogging is often the tool they use to create a strong online presence..
Sumit Bansal is a great example. He quit his job at IBM, and now earns 10X his last salary. A full-time blogger, Sumit runs TrumpExcel.com. Sumit's blog gets 1 Million page-views every month. He has been recognized by Microsoft as a Most Valuable Professional (MVP). His blog was also featured as one of the '50 Emerging Startups to Watch' by The CEO Magazine. We'll have to stop waxing eloquent about him now as his achievements could take up this whole screen. Sumits leads this workshop on Blogging. A deeper dive into the specifics of blogging will help you meet your goals. 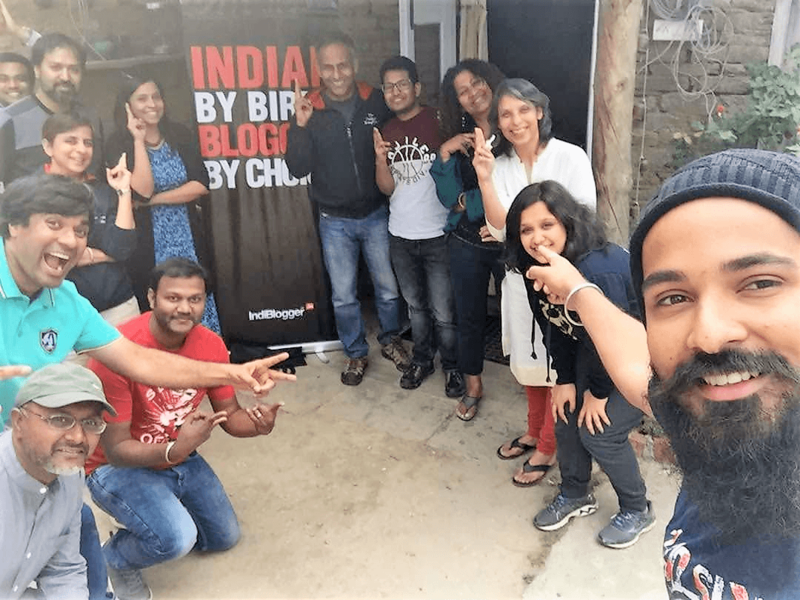 The Himalayan Blogging Workshop is perfect for you to learn and grow your business - while having a ton of fun. We plunge into SEO, monetization models and tools, ways to increase traffic and the science of email marketing. The lessons are relevant to all online content marketers - be it Bloggers, Yourtubers, or podcasters. This is a hands-on workshop - we do stuff. We explore and learn specific tools - the nuts-and-bolts to build your business further. For day-wise program details, scroll down or click here. Sumit is supported by Chetan Mahajan, the former CEO of HCL Learning Ltd. Chetan is a Penguin published author and the founder of the Himalayan Writing Retreat. Chetan won the Indiblogger award for his blog www.uncity.blog. Where: The Himalayan Writing Retreat, Satkhol Village, Distt. Nainital, Uttarakhand - 263138. Details here. How much : INR 24,500 per participant for 4 nights (twin-sharing stay) food, taxes. Note: Single occupancy is subject to availability at an additional cost of 8k. If this is a prerequisite (i.e. if you snore loudly or talk gibberish in your sleep) then we suggest you email us (ID below). Don't pay just yet because a single room is not guaranteed. How to attend : Click the button below to share your information & pay 10K. Pay the balance two weeks before the workshop. Email us your questions at chetan@himalayanwritingretreat.com, or call 97176-15666 . Only first ten paid registrations are accepted. Click this button to sign up. Reach anytime on May 11. Rest, relax, get to know your fellow bloggers. Starting a blog - do this as prework. How to avoid rookie mistakes, and set-up your blog right. Keyword research - the basic tool for all internet marketing. On May 15, you leave the retreat after a relaxed breakfast. Based on the participants, we often customize the agenda. The idea is to make sure you get the most out of this blogging workshop.